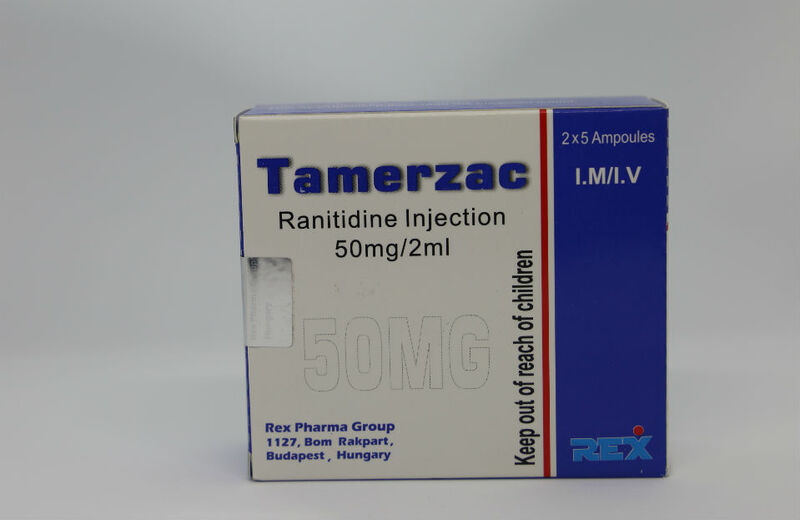 Each one ml of solution contains 25mg ranitidine as ranitidine hydrochloride. Each 2ml ampoule contains 50mg ranitidine.Excipient(s) with known effect:Each ampoule contains 0.55mg (0.014mmol) of Potassium and 2.23mg (0.097mmol) of Sodium. Solution for Injection and InfusionClear, colourless solution.